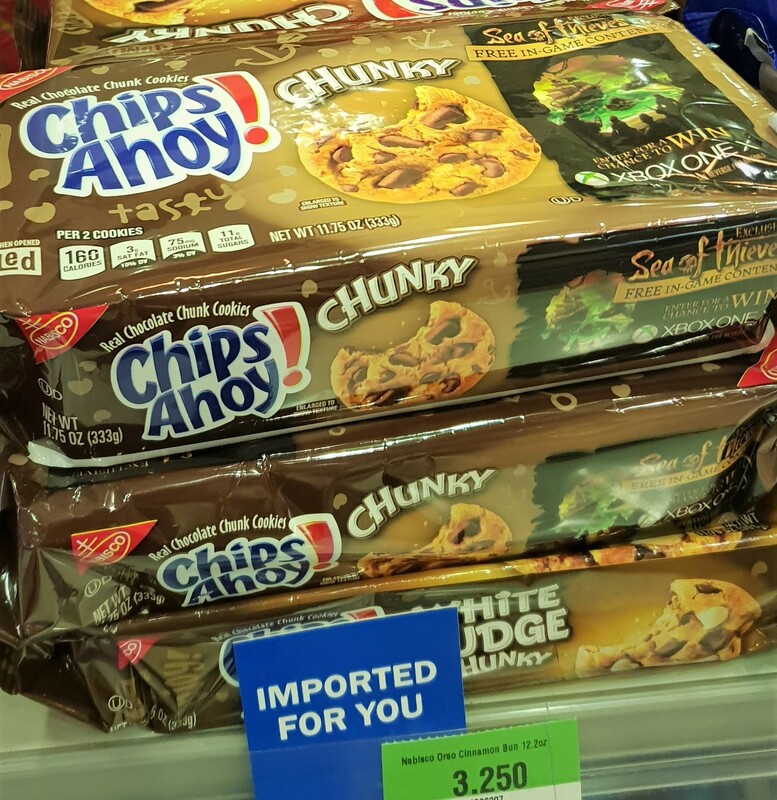 Right away, I spotted all kinds of different Chips Ahoy! 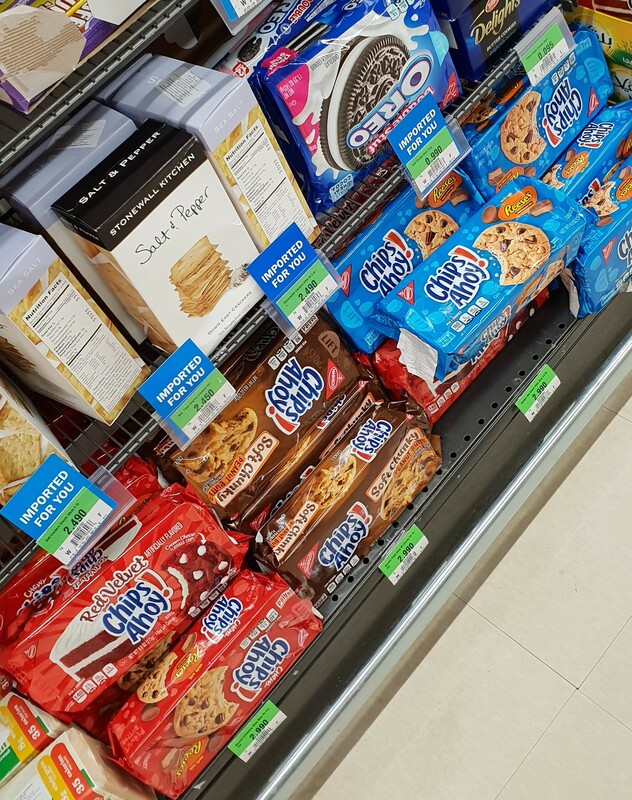 Cookies (Brownie Filled and Chunky and White Fudge Chunky) and Oreo Cookies (Double Stuf and Double Stuf Red Velvet and Double Stuf Golden) facing the cash register! 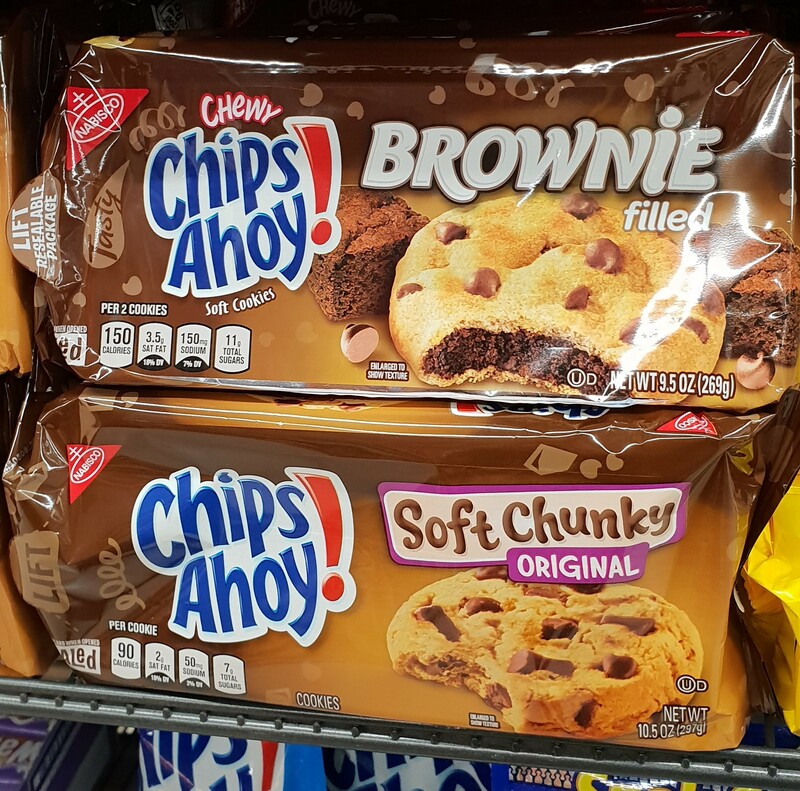 As mentioned earlier, Chips Ahoy! 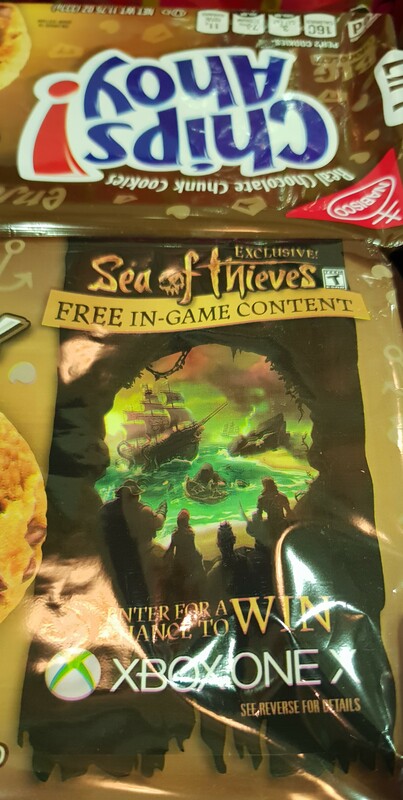 and Xbox One had a little promo going (from what I understood, you got 1 free month of Gold which was stack-able and in-game content and an entry to win an Xbox One) called Xbox One Marks The Spot for a game called Sea of Thieves, which I thought was pretty cool! It goes without saying that the promo is only applicable to residents of the United States (meanwhile, we get a whole KD 1 off our KD 30+ purchase lol) I’ve never even heard of the game (which doesn’t sound all that appealing to me, honestly) and I already own an Xbox One. However, I thought this particular promo was so fun (I wish we had stuff like this going on in Kuwait)! I’ve been guzzling Karak Tea (the ones that come in purple packaging) for months now, ever since I first featured Chai Karak (here) and quite frankly… I’m sick of it. That’s why I’ve sorta’ been keeping an eye out for a yummier alternative. 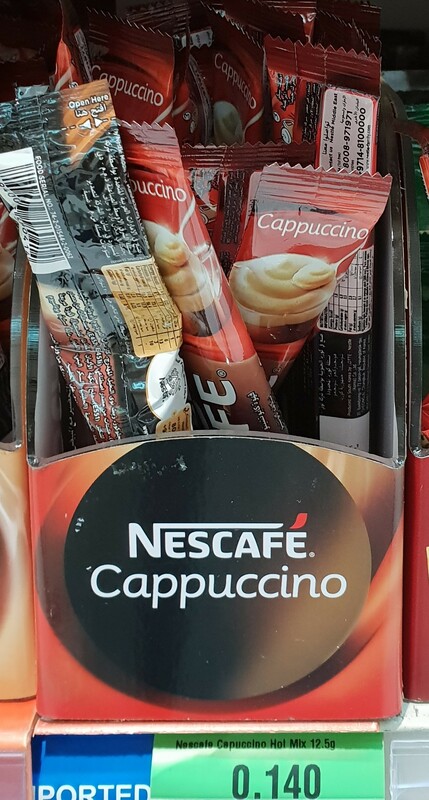 The other day, while I was visiting my uncle’s wife who’d just returned from Lebanon (she’s Lebanese so she goes back there to visit her family at least twice a year), she insisted that I try the Cappuccino that she’d brought back with her (everything on it was written in Turkish). I can’t even remember the last time I had an honest-to-goodness Cappuccino! It smelled amazing! It tasted even better! I’ve been craving the stuff ever since. 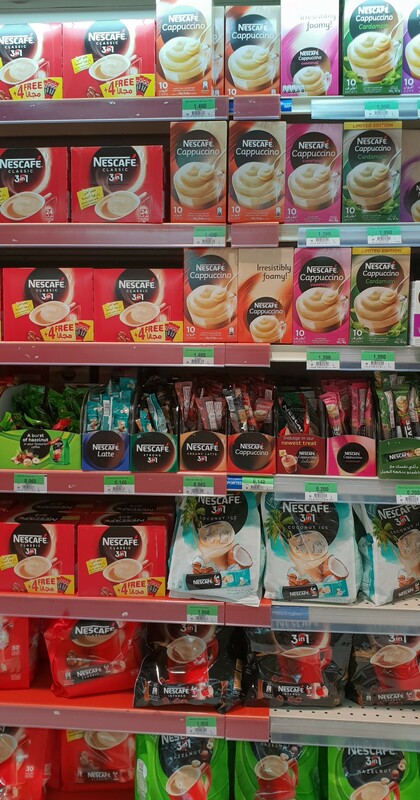 That’s why I was so stoked when I spotted all these bright and colorful offerings (it was meant to be)! 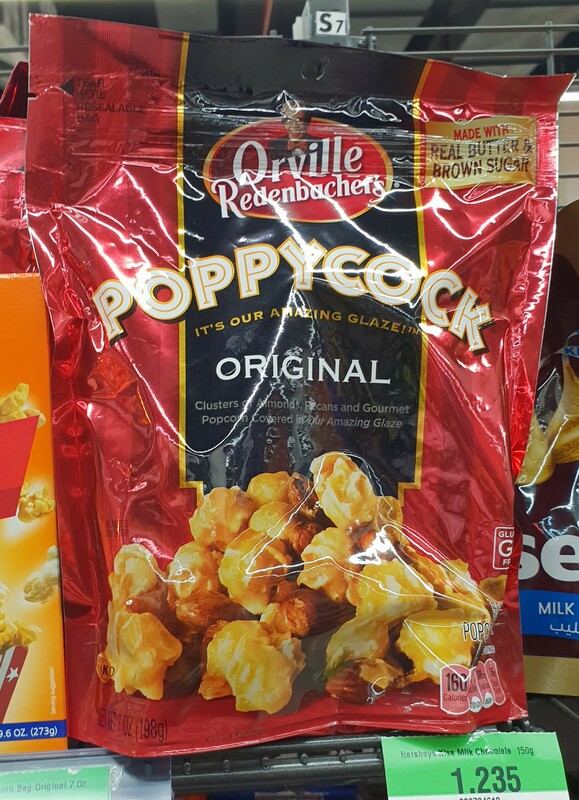 Forget the taste, can you imagine the heavenly smell? 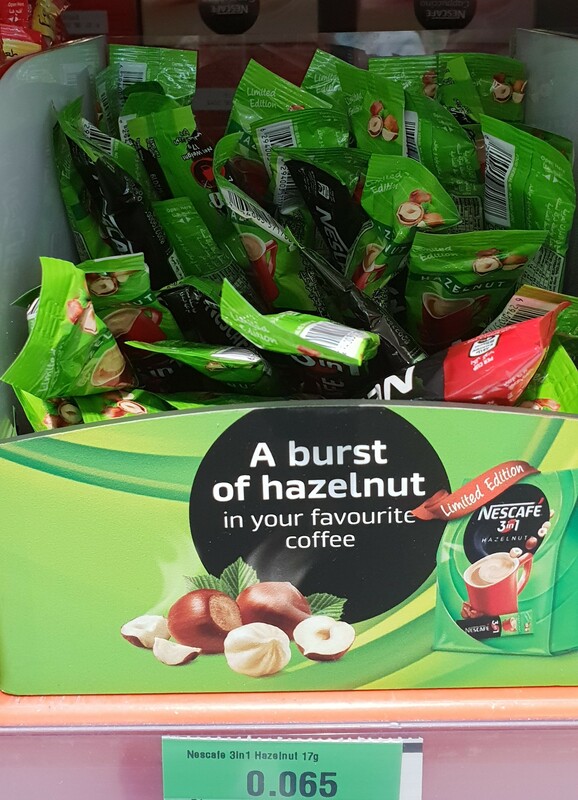 Nescafe Hazelnut seems perfect for the upcoming Winter months! I purchased these before (here), but still haven’t had them yet (apparently I’m saving them for a special occasion… but not really). 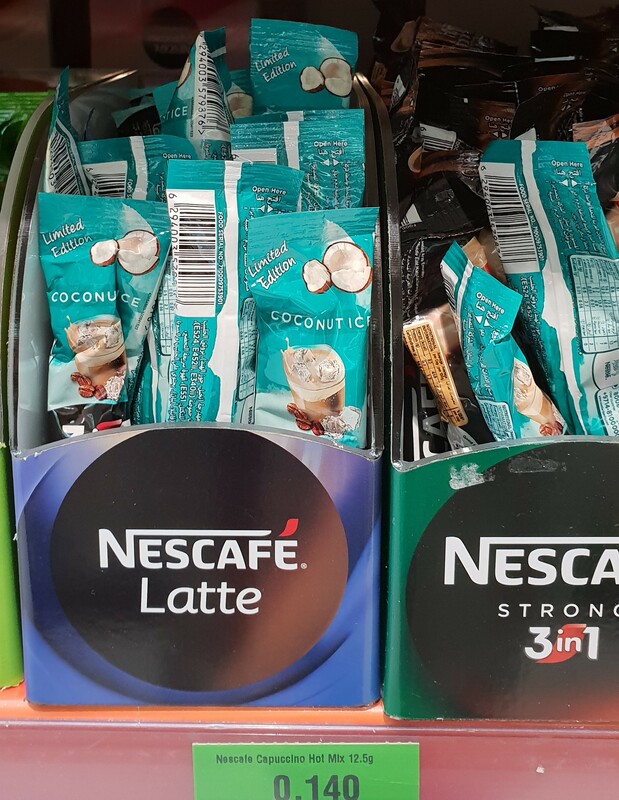 Truthfully, the fact that these have to be served chilled has been somewhat of a deterrent, because I’m more into hot drinks at the moment, rather than cold drinks. Classics are classics for a reason! Oooh, fancy! 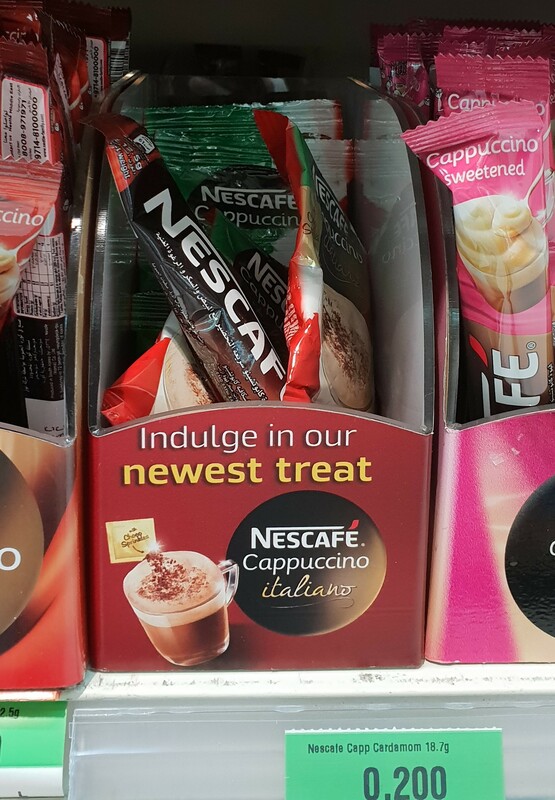 Well, as fancy as powdered instant cappuccino can get (which isn’t really all that fancy lol). 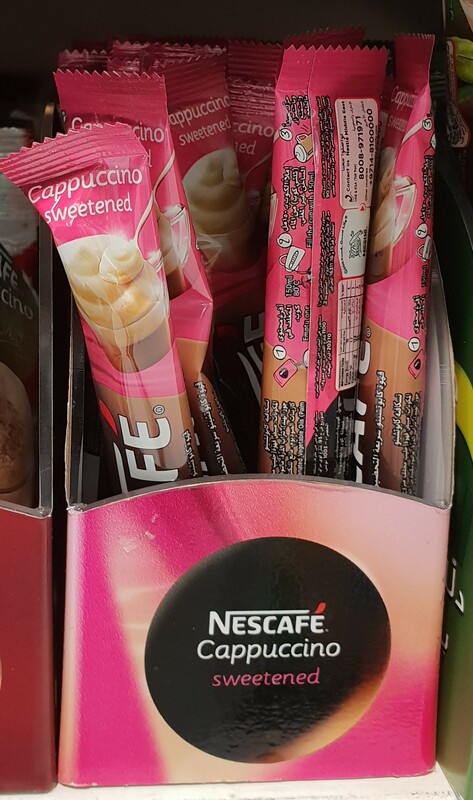 Why is this stuff pink?! I don’t even care what it tastes like, because the packaging is so cute! Ugh! 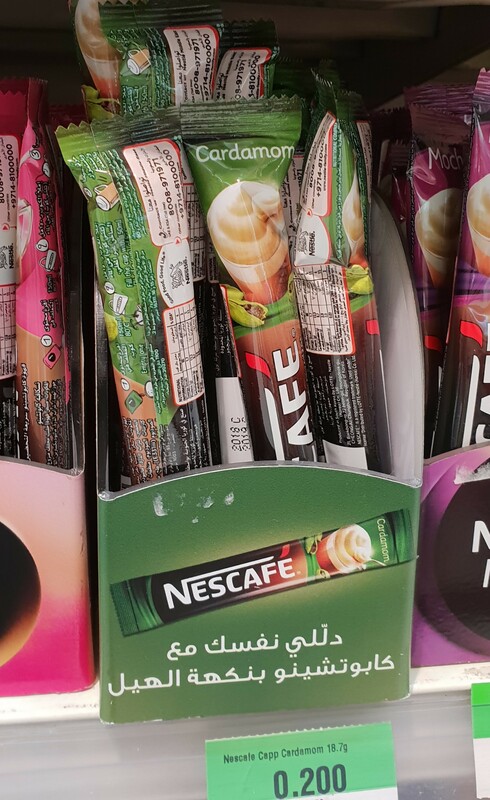 When I used to drink tons of Karak Tea (that came in purple packaging), it was available in several flavors and Cardamom was the absolute worst! I can’t stand the stuff, therefore hard pass! 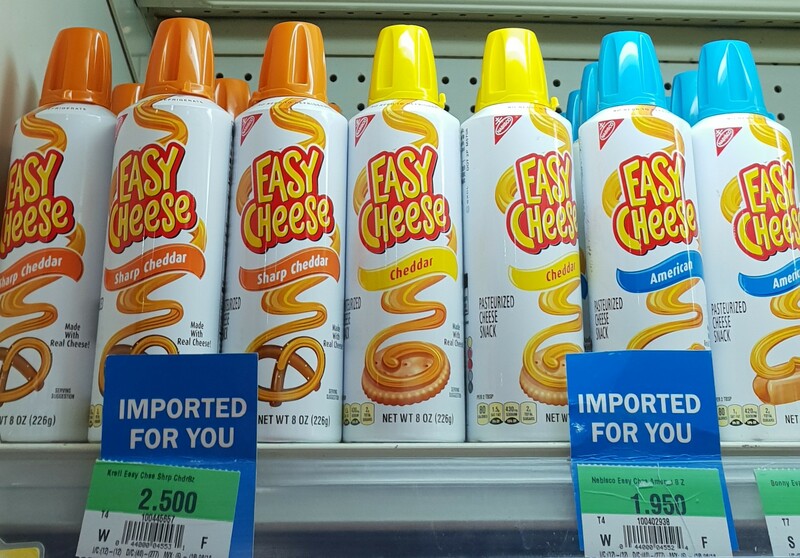 Easy Cheese American KD ? So much yes! I love that Sultan Center had a huge display of all kinds of Chips and Salsa… in the fresh produce aisle! lol I spotted the display as soon as I walked in! 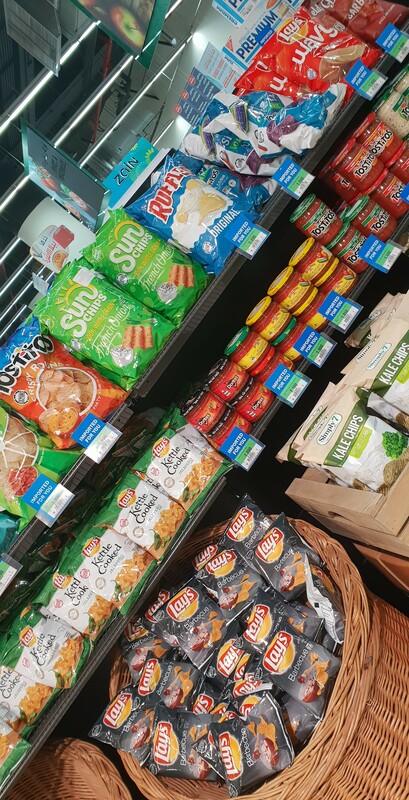 They had everything from Doritos (Spicy Sweet Chilli) to Tostitos (Hint of Lime Tortilla Chips repurchased here and here) to Sun Chips (French Onion) to Ruffles (Original) to more Tostitos Organic (Blue Corn) to Lay’s Wavy (Original) to Lay’s Kettle Cooked (Jalapeno) and even Kale Chips! They had the usual suspects, from Doritos Chunky Salsa to Tostitos Chunky Salsa (previously purchased from Carrefour, haulage here) and Tostitos Creamy Spinach (coincidentally, previously purchased from Promenade, haulage here) to Old El Paso Chunky Salsa (previously purchased from Souq Sharq, here and Salmiya, here and Souq Sharq again, in bigger, better and much easier to open packaging, here). I was surprised not to see Snyder’s Chunky Salsa though (which is quickly becoming my new fave)! I’ve seen these and marveled at their ingenuity before, on an episode of An Idiot Abroad (when Pilkington visits Japan)! 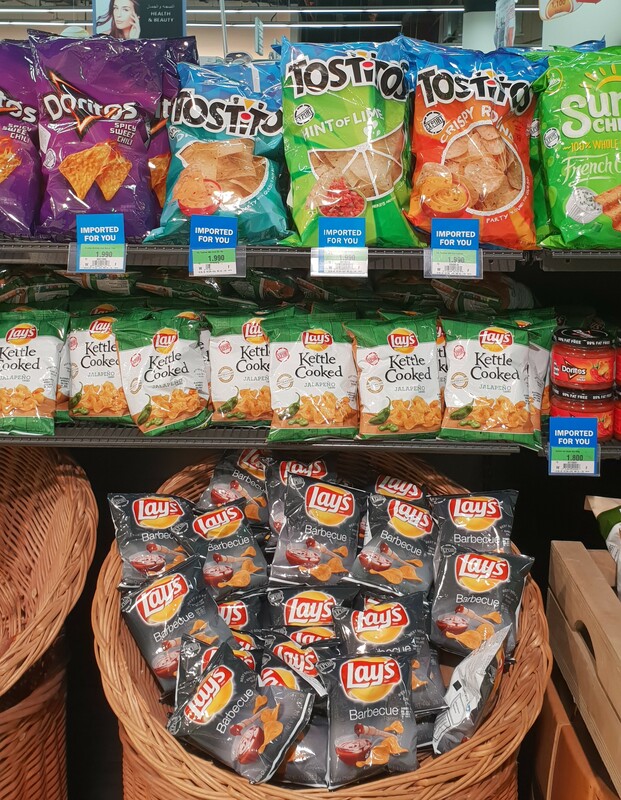 After that, I started noticing people use everything from Hair Clips to Clothesline Clips, in their attempts to keep their large bags of Potato Chips from going stale, after they’ve been opened. Once I spotted the real deal over at Promenade, I figured I might as well take a pic. 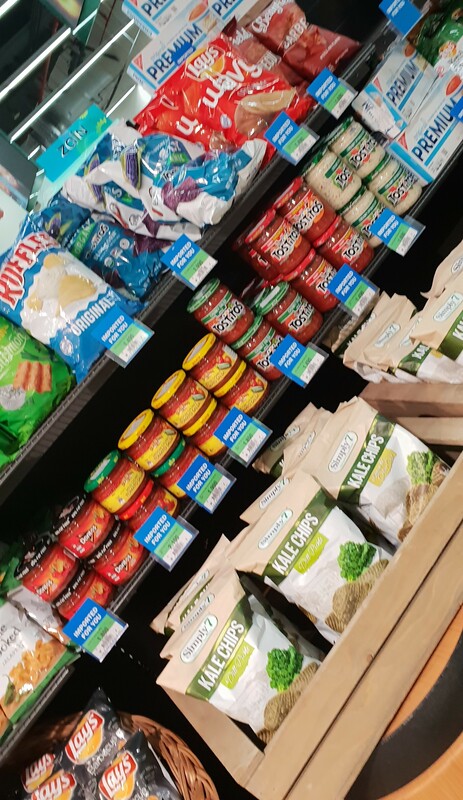 The Red Velvet ones seemed interesting, but at the moment, all I’ve been craving is salty snacks. I’ve tried the Peanut Butter ones before (haulage here), and although quite nice, they were a bit too rich for my taste. As such, I definitely wasn’t going to try the Reese’s ones. For the past year or so, ever since I first stumbled upon them, I’ve been straight up obsessed with these! Even going so far as to write up an entire post featuring this stuff (here)! Unfortunately, it seems like I’m finally kinda’ sick of them (at least for now). This stuff was so yummy that it warranted it’s very own post (here)! The only bad thing I have to say about these, is their lack of availability (they’re so hard to find since they’re always out of stock). However, I’m very happy to report that I’ve found a substitute, Crunch ‘n Munch Caramel Popcorn (haulage here). They’re pretty interchangeable, so if you can’t find one, just go for the other! LOL I have an entire post solely dedicated to riffi Exfoliating Massage Straps (here), because I just love those things (they hurt so good)! However, it’s kinda’ annoying that I had to either go all the way to City Center (Salmiya) just to get to the Al Mansour Store (which was practically hidden in one of the corners) or I had to wait for the Perfume & Makeup Exhibition (Autumn Festival/Expo/whatever you wanna’ call it) that only takes place twice a year, and go all the way over to Mishref Fair Grounds and amidst dozens and dozens of booths of all 3 participating halls, hunt down the Al Mansour booth, just to get my hands on my beloved riffi Exfoliating Massage Strap (haulage here). That’s why I’m pretty stoked that Sultan Center has finally started selling riffi products! Good job, Sultan Center! Now not to knock on these riffi Exfoliating Loofah Massage Gloves (because they actually seem pretty good) but I wish they’d start selling the riffi Exfoliating Loofah Massage Straps (the super rough ones with handles on each end, the roughest being purple) at Sultan Center as well! This stuff is an old favorite of mine! Back in the day, I used to buy these babies in bulk (first the clear ones and once they were released, switched over to the tinted ones) from Drugstore.com, for my friends and family, as well as for myself. I’m so glad these babies are poppin’ up all over the country (previous haulage here) because they’re just stupid cute! If you haven’t tried them out yet, give ’em a shot, and for the people (read: men) who aren’t interested in having a red tint to their lips, there’s a clear version too!